Which Industries Keep The Most Records And Why? These days, business is all about data. It’s what drives success and designs our future but just who is using the most? And why? Industries such as healthcare and medicine, IT, and other customer-facing industries store the most information and here we look at why they need to. Thanks to the Data Protection Act and other legal rulings, businesses and industries must keep certain records for specific lengths of time. These must be stored securely and any industry or company which fails in their duty can face harsh penalties as a result. In addition to the legal requirements, a recent trend in high data storage signals the need for data to be stored as a way of recording history. Data may be historical but that past matters and now extended information can be stored not only in-house, but externally, too. If the paperwork can’t fit in the office, it can be stored elsewhere. Cloud storage is leading the way in an evolution of records management and keeping data, rather than generating it, is now the priority for many industries. Being able to produce a proven track record of achievement and success is highly important throughout the corporate world and any investigations into practices, ethics or other business ideals will usually require the review of old records. The desire to make data storage more efficient via cloud-based services is bred through the need to protect investments, clients, customers and general privacy. 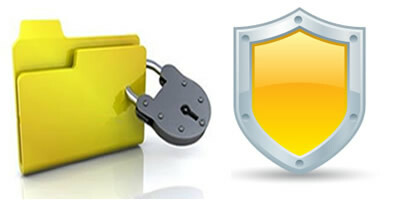 Data, after all, comes from people so protection of it ultimately translates to protection of them. Key figures who have spotted this evolution include Michele Goetz, a Forrester analyst and data management expert who spotted the need for ‘data designers’, and Leo Eweani, co-founder of Ontology Systems. Eweani saw the data analytics trend as a direct response to the ‘data tsunami’ of recent years; a massive wave of information threatening to overwhelm companies whose technology just isn’t up to scratch when it comes to records management in the 21st Century. The problem, according to Eweani, is fourfold: out-of-date technology, too much choice, too great a volume of information, and the speed at which data is produced. The resulting situation for records management can seem “like navigating a tidal wave in a kayak”. The key to successful data management lies with the efficacy of data interpretation (how fast and how accurate). Too uniform a translation of information might not result in the best option for a company’s next business step as a ‘one size fits all’ is not the most efficient motto for an industry’s successful progression. In short, the new trend for data analytics will aid industry innovation with new data investment modernising old records management for an improved business outcome. Speaking to reputable firms such as Iron Mountain about the services they offer within this sector is one way for even the smallest company to get on-board with the changes; whatever industry they operate within.